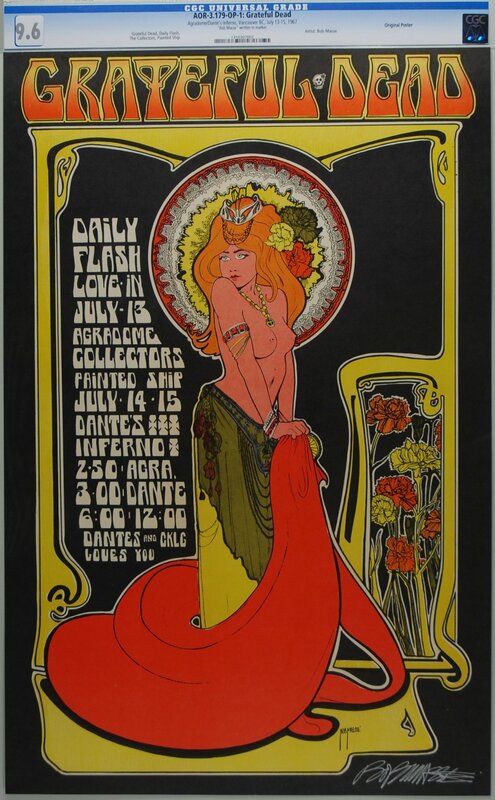 Sacramento State to Exhibit Major 1960's Vintage Concert Poster Collection! Major museum exhibits of Vintage Concert Posters continue to flourish across the nation. 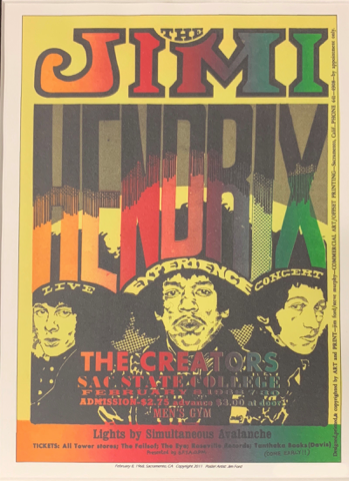 Last month the collectibles world received the exciting news that a massive collection of 3,000 vintage concert posters from the 1960’s to present was donated to Sacramento State University. 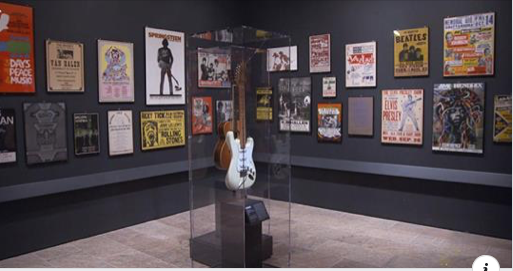 The collection, includes vintage posters of Jimi Hendrix, Cream, The Kinks and hundreds of other musical legends. The collection was assembled and donated by Dennis Newhall, a Sacramento native. “This is a story about the venues, the poster artists, the pioneering radio stations that brought rock to Sacramento, and the rock bands that played here,” explained Newhall. Plans are being drawn up to exhibit the posters in multiple locations around the city. This announcement is just the latest of several recent exhibits featuring Vintage Concert posters in major museums across the country. The fact that we, as collectors, can still acquire 50 year Vintage Concert Posters in Museum Quality condition for just a few hundred dollars — that hang in major art museums across the country— explains why many experienced collectors are so excited about the opportunities available in today’s marketplace. Stay tuned for more information on this exhibit in coming months! Excitement Builds for 50th Anniversary of Woodstock! New details are emerging about the 50th Anniversary of Woodstock and by all major media accounts this event is set to be even larger and more impressive than our most optimistic expectations. Michael Lang, the producer of the original Woodstock Festival in 1969, is back at the helm. Woodstock 50 will take place August 16th - 18th in Watkins Glen International in upstate New York, just a couple hours away from Bethel, New York where the original Woodstock was held. An impressive lineup of bands have been announced with a nice blend of classic artists and more contemporary performers. Improbably, a fine assortment of musicians will appear that also performed at the original Woodstock 50 years ago! These classic 1960’s music legends include Santana, Canned Heat, John Sebastian, John Fogerty, Country Joe McDonald, David Crosby, members of Jefferson Airplane (now performing as Hot Tuna) and Bob Weir, Bill Kreutzmann and Mickey Hart from the Grateful Dead! While history has rightfully noted all the Sixties legends that tragically passed away in their twenties, it is truly inspiring to have this many original musical groups that are still performing and thriving today, 50 years later. For a detailed analysis of how the 50th Anniversary will effect the Vintage concert poster Market, click here. Every collector should be aware of this lucrative short term opportunity to acquire certain Vintage Concert Posters at a significant discount. It is now common knowledge in the collecting world that the marketplace for Vintage Concert Posters has received a huge injection of interest and new participants with the introduction of independent third party grading and authentication by CGC. CGC is the very same organization that has graded literally billions of dollars of rare coins, paper money and comic books over the past 30 years. CGC has changed many of the market dynamics, many of which have been examined recently in past articles on this blog. These changing dynamics include an increased focus on quality and originality (posters that have not been altered through restoration), and a commensurate increase in values for the same. Today, we wish to make you aware of a brand new opportunity that involves acquiring posters that have NOT been graded by CGC, an opportunity that is quite lucrative and won’t last for very long. Currently, the list of posters that CGC authenticates and grades is relatively limited. First and foremost, there is a size limitation of 15”x 23” or smaller. This is the largest size poster that CGC can currently fit into their airtight, archival holders. Secondly, there are category limitations. CGC currently grades the following posters: The BG Fillmore Series, the FD Family Dog series, Grande ballroom posters, and posters that appear in The Art of Rock. While these posters represent a large group of the entire universe, there is still a huge number of posters that CGC does not grade including many very desirable and classic images and series. Some of the posters that CGC does NOT currently grade include: the oversized Fillmore issues, the Kaleidoscope series, the Vulcan Gas Series, The Rock Garden Series, The Grateful Dead Translucent poster, the Aoxomoxoa and Hawaiian Aoxomoxoa posters the Beatles Candlestick poster,the original Acid Test Poster, The Vanessa Grande poster, the Trip or Freak poster, and hundreds of other rare and desirable posters. Good News for Collectors of Vintage Concert Posters! We have just received notification from CGC that a larger holder is under development and will be introduced this year. This is obviously great news for collectors that wish to collect posters that are not currently graded by CGC, but want the confidence that third party grading and authentication offers. As early as spring, 2009, we have implored collectors to acquire 100% original posters with no restoration, in the highest possible condition they could locate and afford. You can review past issues of our blog, and see dozens of articles on this yourself. Our logic was simple. In other collectibles, the very best condition examples ALWAYS trade for 25x, 50x, or 100X the cost of a run of the mill example. At that time, you could buy the very best condition pieces for a small premium of 25-50%. We knew this was a situation that could not and would not continue. We also mentioned that it was only a matter of time before third party authentication and grading would revolutionize this marketplace. Those collectors that have acted our advice, are very happy today. They have built collections comprised of posters that are a) much harder to find today, b)more expensive to acquire today. We believe the same opportunity is presenting itself all over again right now! A huge variety of Vintage Concert Posters can be now acquired for significantly less than they will probably bring once they are eligible for CGC grading. Only this time, the timing and payoff for the opportunity is much more certain. CGC grading is now a reality, more posters will become eligible for CGC grading in the coming months, and we have already seen prices rise for posters that have been graded by CGC! (Although current premiums for CGC posters of 1.5x-2x compared to non CGC posters, are still incredibly tiny compared to all other collectbles. Where you can expect to pay 10-20x or much more for the finest condition examples). So our advice at this time is clear – and urgent. It’s absolutely okay to pursue posters that have NOT been graded by CGC. Buy the highest quality condition posters you can locate and afford now, before they become eligible for CGC grading in the coming months. Just make sure authenticity is guaranteed and that there is no undisclosed restoration. If you follow this advice, and the past is any guide, you will be rewarded with the ownership of a poster, or collection of posters that could cost a lot more to acquire in the future! Vintage Concert Posters Featured on Antiques Roadshow! We are delighted to report that the 2017 Vintage Concert Poster media blitz we predicted is starting immediately with the wildly popular PBS show! We have been predicting for quite some time that the Vintage Concert Poster Market would be receiving unprecedented worldwide exposure in 2017. 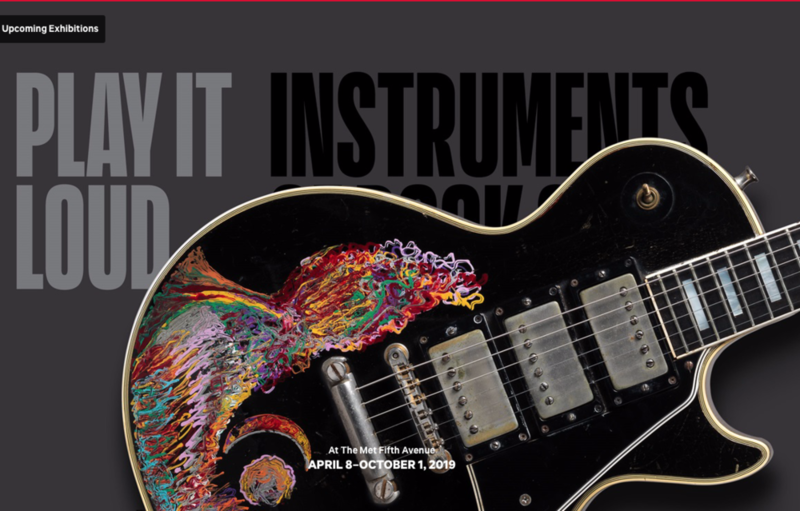 This publicity will be generated by the world’s celebration of the 50th Anniversary of The Summer of Love and the 50th Anniversary Celebration and Concert of The Monterey International Pop Music Festival. Concurrent with these events will be the continued proliferation of major museum exhibitions around the world. We were delighted to find out that the 2017 media blitz is starting immediately with the wildly popular PBS show Antiques Roadshow. The feature story of the season premier, which will first air on January 2nd, 2017, will be about a woman who inherits a collection of Vintage Concert Posters from her brother that was assembled in the 1960’s. The woman is thrilled to find out that the posters are of tremendous value, worth tens of thousands of dollars. This type of national exposure is great for our hobby in two ways. First, it informs collectors that these posters are highly sought after and should be looked at with great respect. The story will certainly catch the eye of music lovers and collectors that did not even realize that this collectible exist. Secondly, it will alert other prospective sellers that what they have had sitting in their attic all these years should no longer be ignored –values are real so consider selling! The bottom line is that increased exposure of Vintage Concert Posters can only help bring more buyers and sellers into our unique little corner of the collectibles world. 2016 Vintage Concert Poster Year in Review! One of the most exciting developments in 2016 has been the proliferation of major museum exhibits around the world featuring Vintage Concert Posters. This is exciting on many levels. First, major museums would have ZERO interest in staging these types of exhibits if there was not an interest and appeal by the general public. The fact that these museums stage these exhibits tells you that the mainstream interest in our beloved concert posters is immense. Secondly, these major museum exhibits have the effect of creating a huge amount of additional interest and exposure for these artworks. Literally millions of people are being educated and exposed to vintage concert posters that would not have otherwise known about them. This speaks volumes about the future health and interest in our hobby going forward. Lastly, when major museums are constantly promoting Vintage Concert posters, they are implicitly providing an imprimatur on the quality of the artwork and the historical importance of them. Knowledgeable collectors understand the major importance of this type of endorsement—it cannot be bought, it can only be earned, and it makes Vintage Concert Posters 100 times more appealing to collect and display for oneself. 2016 is the year that independent third party authentication and grading of Vintage Concert Posters really started to flourish. CGC, the same organization that grades rare coins, paper money and comic books has become popular among collectors that are looking for an independent, unbiased opinion of what they are acquiring. CGC has become particularly popular with high grade material and for posters and handbills that have been frequently bootlegged and pirated. The result of major museum exposure combined with the availability third party authentication and grading has led to a large influx of new collectors into the marketplace. Collectors of most other collectibles are used to third party grading and understand the opportunity it presents. Now, someone that is just getting started, who is interested in these posters, can collect with confidence, knowing that they are getting exactly what they paid for. When you combine numbers 1,2, and 3 above, with a fixed and dwindling supply, you get record prices. To be sure, 2016 saw an increase in values as a larger number of collectors were chasing a constantly diminishing supply. By definition, third party grading differentiates the quality of one poster to another by assigning each poster a numerical grade. Before CGC, posters were described as either damaged or undamaged. Now posters are graded on a 10 point scale, in .1 increments. In addition, there has been a huge focus among many collectors on originality. This again, is a carryover from what is going on in other collectibles. There is a huge appeal to owning “the real thing”, not some doctored up Frankenstein piece that is part Vintage and part Modern. If all you want is something that looks cool and is undamaged, it’s far easier and less expensive to buy a Second or Third printing. With the launch of our new website and blog, we have enabled readers to leave their own comments and observations. We would love to hear your comments about what you see as the important trends going on in today’s marketplace for Vintage Concert Posters. Feel free to join the conversation below!